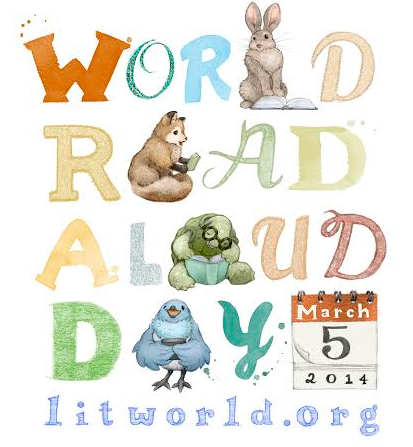 Today is officially World Read Aloud Day. We have been celebrating all week and will continue on Thursday and Friday. Today can only be described as miraculous! Here’s a look at our day. 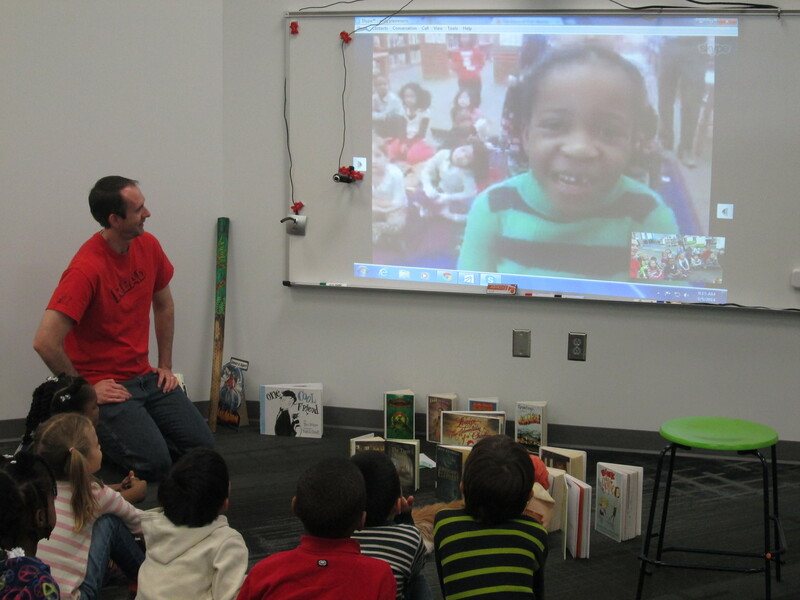 We started by connecting with Donna MacDonald and her students in South Burlington, Vermont. 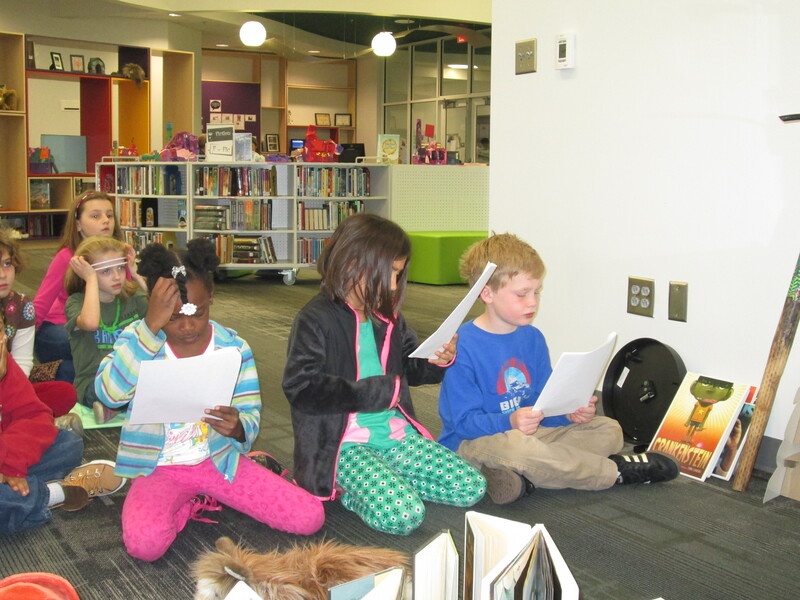 Our students did a reader’s theater of One Cool Friend. 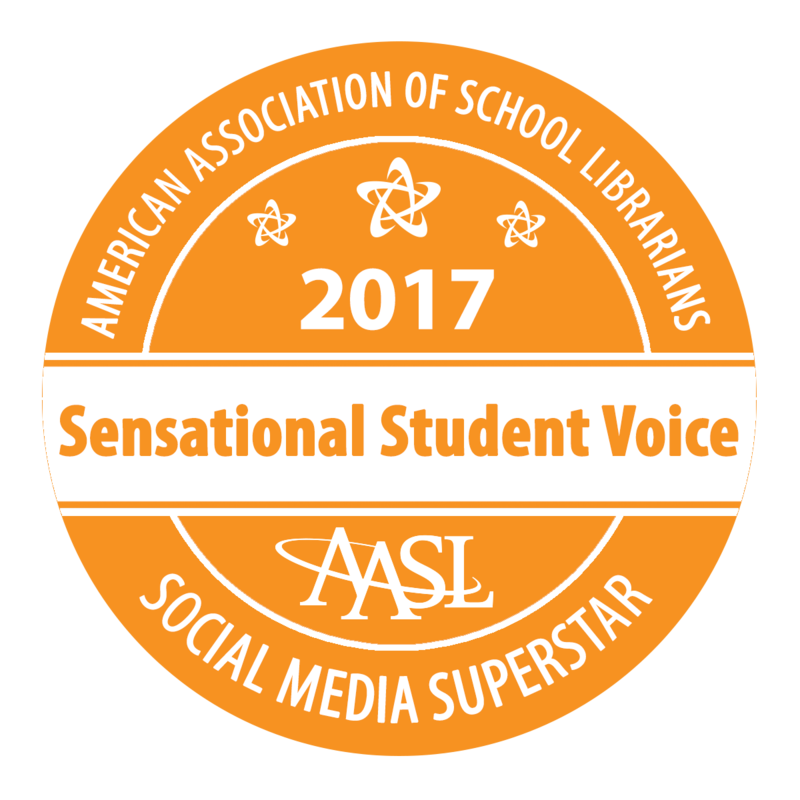 We divided the parts up between our students so that voices in both states were helping to tell the story. Students got a chance to find out about state symbols and the weather, but we loved meeting all of Mrs. MacDonald’s library pets! 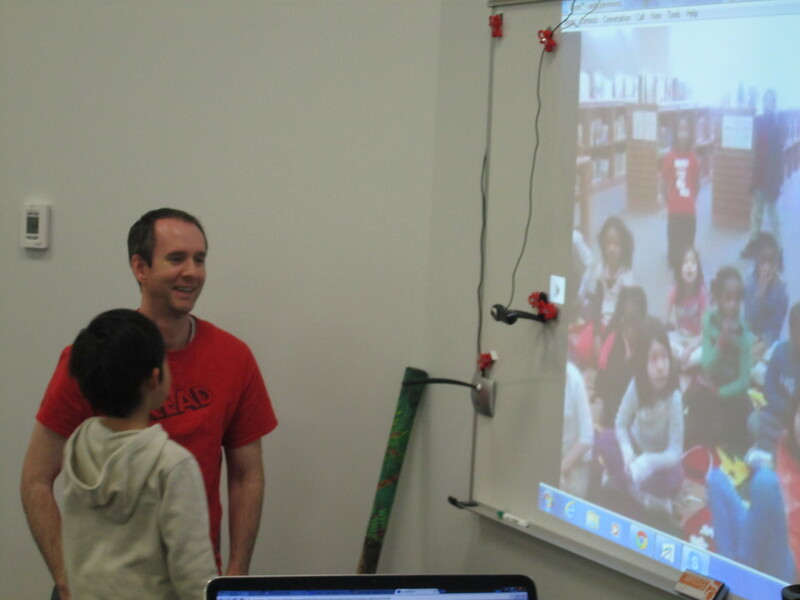 Next, we connected with Matthew Winner and his students in Elkridge, MD. 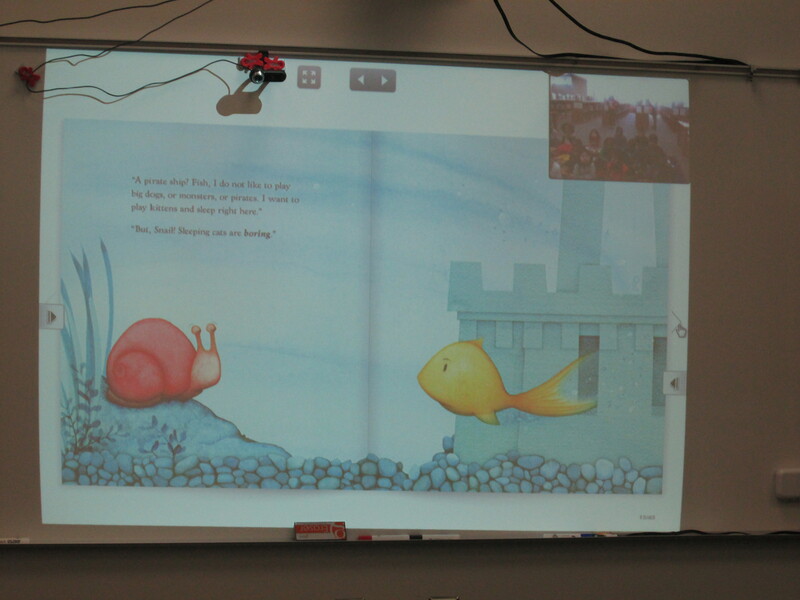 We shared the book The Story of Fish and Snail by Deborah Freedman. We took turn reading pages. 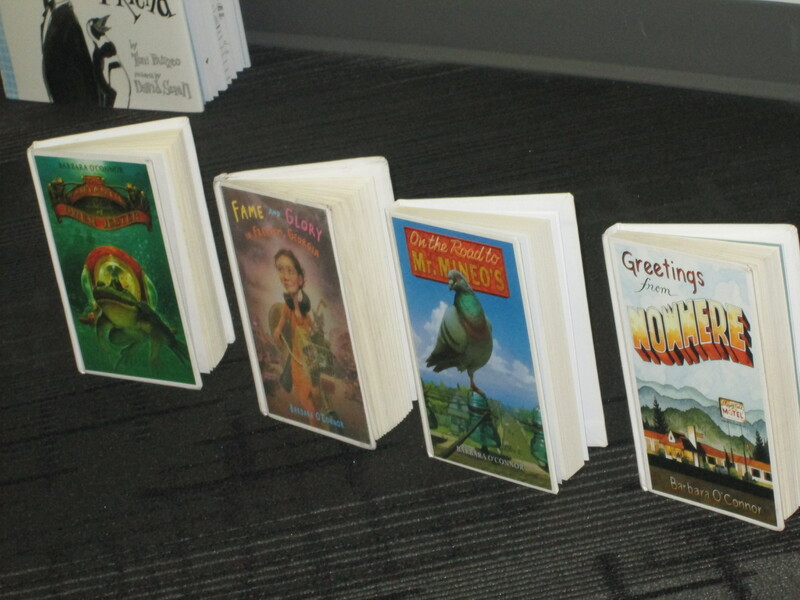 He had 1st graders who read the pages with him, while I had Kindergarten where I read the pages. 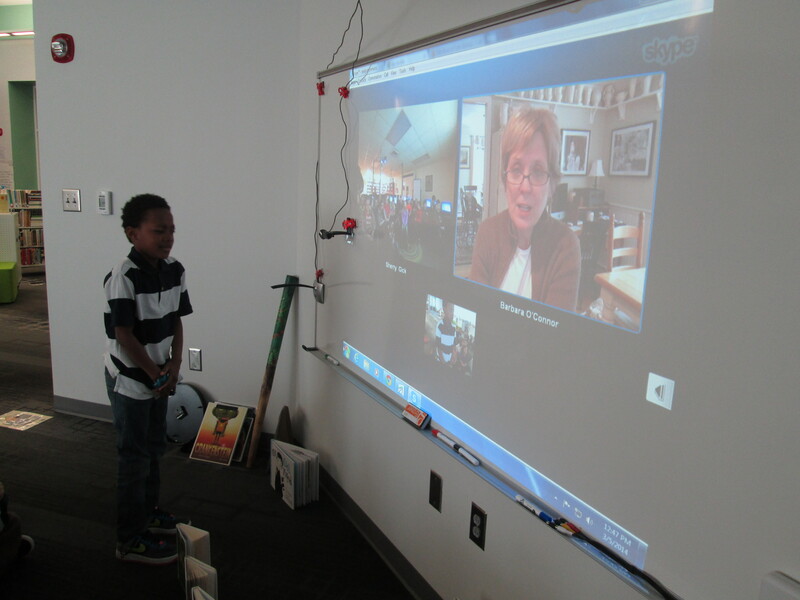 Our students also had a chance to ask once another questions. 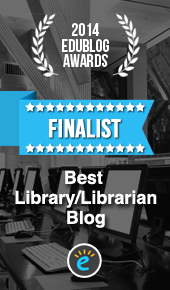 Next, we began connecting with several authors. Our first connection was with Anne Marie Pace. 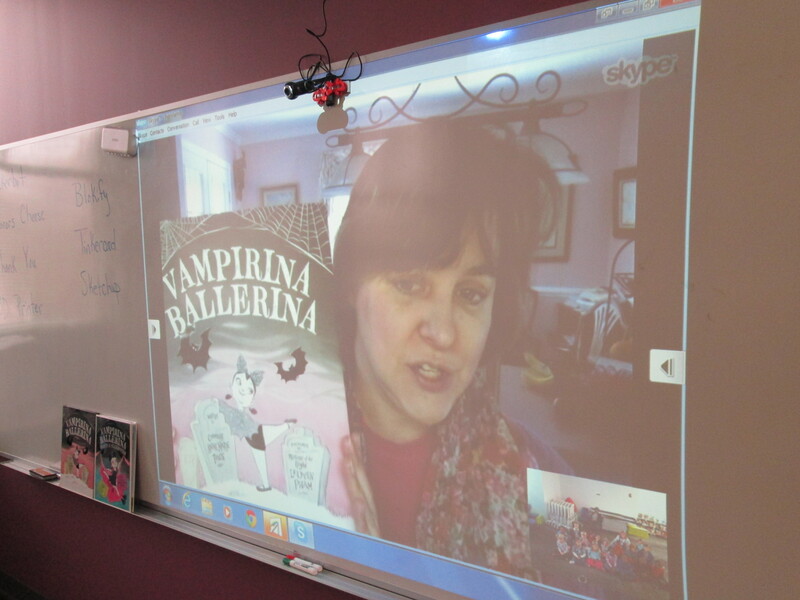 She is the author of Vampirina Ballerina and Vampirina Ballerina Hosts a Sleepover. 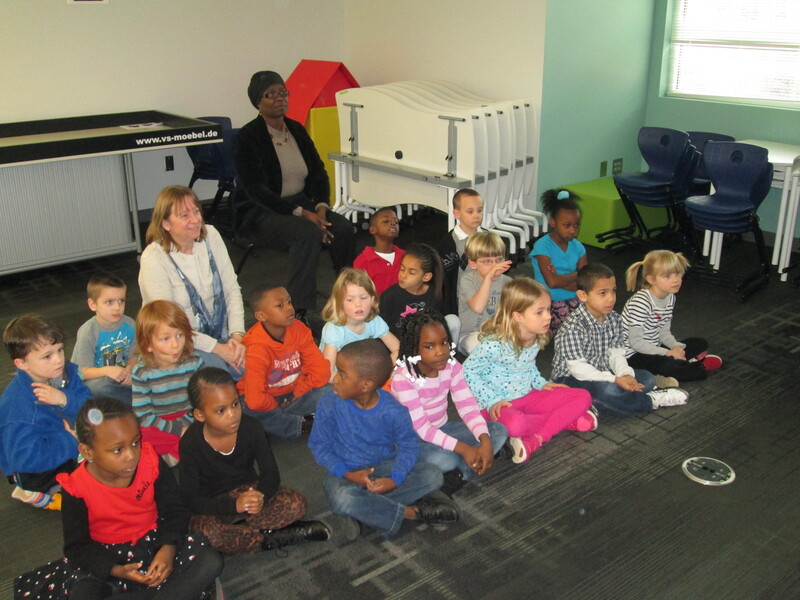 During our connection, she taught the kids a great song about how a book is made and had them sing along. Then, she read Vampirina Ballerina. It has so many interesting vocabulary words. 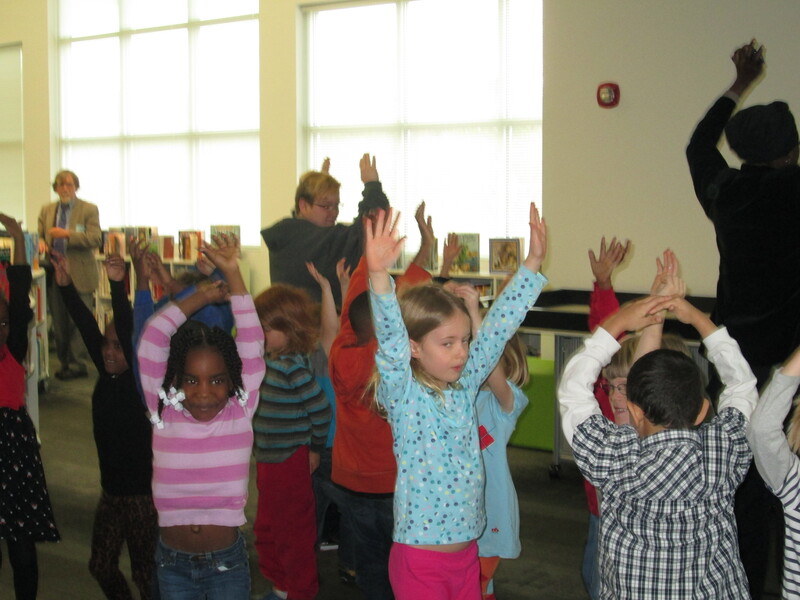 On one page, she had the students stand up and dance with her to practice one of the ballet moves. Another thing I love is when authors point out details in the illustrations and how they connect with the rest of the story. Anne Marie pointed out Vampirina’s final pose and how it was the same pose as her ballet idol posted in her bedroom. 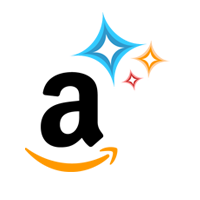 Next, a very miraculous thing happened. 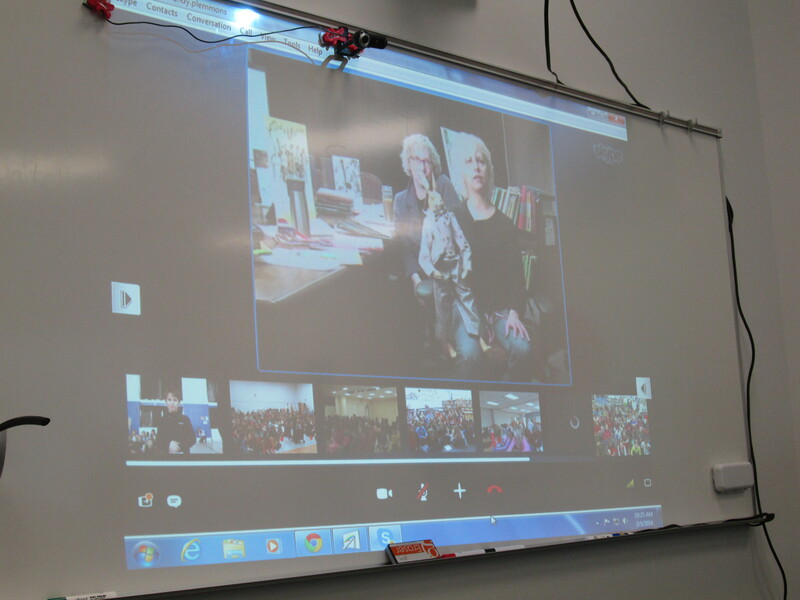 We skyped with Kate DiCamillo! As you know, she has won 2 Newbery medals and has just been named the National Ambassador for Young People’s Literature. 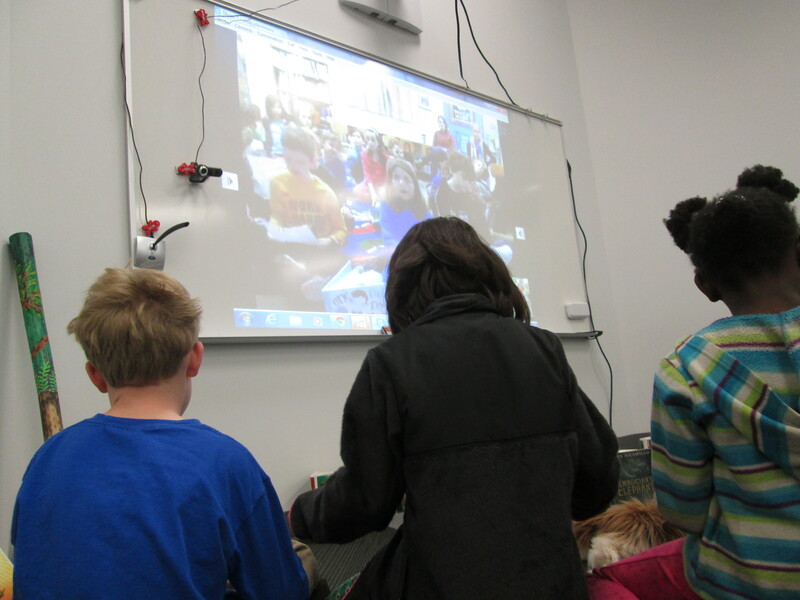 A few weeks ago we were contacted by the amazing people at LitWorld with an opportunity to be in a multi-school Skype. I immediately said yes and the planning began. 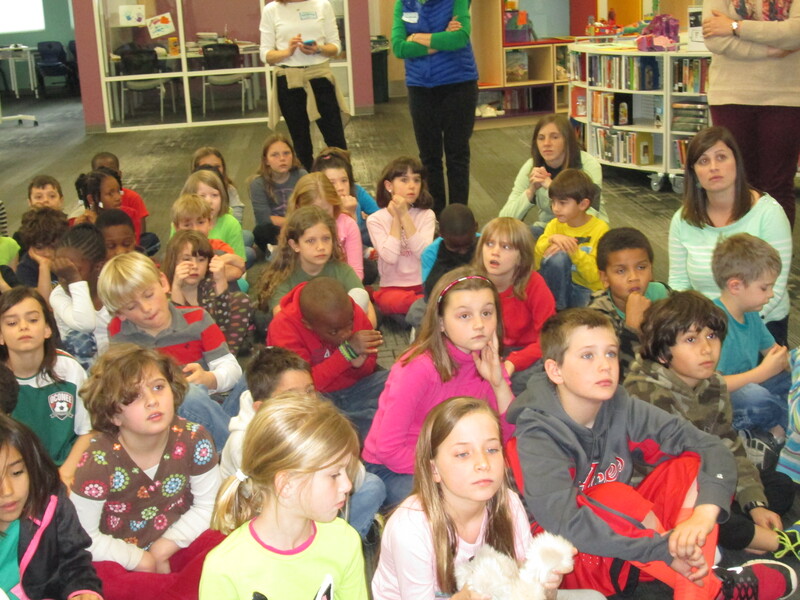 Most of our 2nd grade attended with a few 3rd graders. It was so inspiring. We started with a roll call of schools. Kate shared a poem from one of my favorite poets, Joyce Sidman. Then, she started taking questions from schools. This was followed by some reading from Flora & Ulysses. The moderator also read aloud part of Kate’s first draft of Because of Winn Dixie, and I loved how Kate covered her ears because she didn’t want to hear how it sounded. 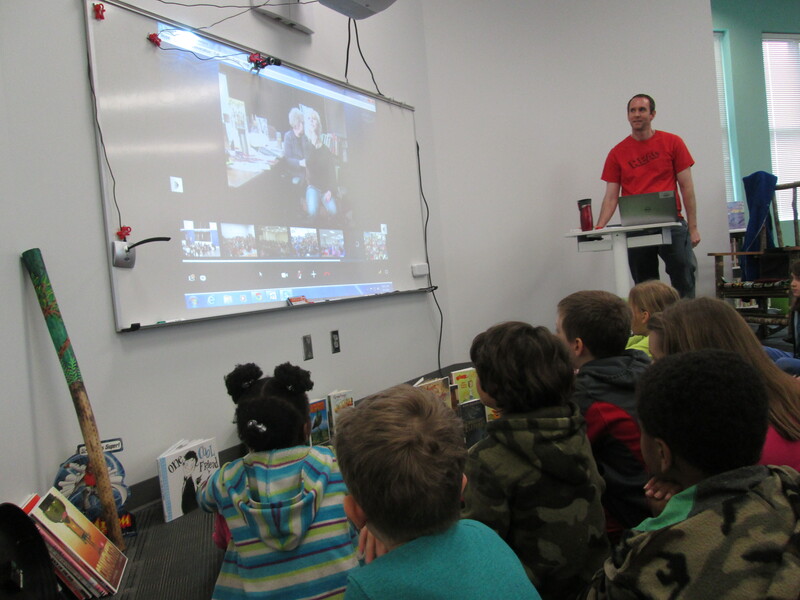 Kate took some more questions from schools and ended by having the adults at each school share what they were reading to students. When it came to me, I just had to tell Kate how I have read p. 130 of Flora & Ulysses numerous times to the students of Barrow and how “Expect the Miraculous” has become a mantra in our library and throughout our school. She turned to p. 130, found the part, and read it aloud. It was such a special moment (as you can see from my reaction at the end). 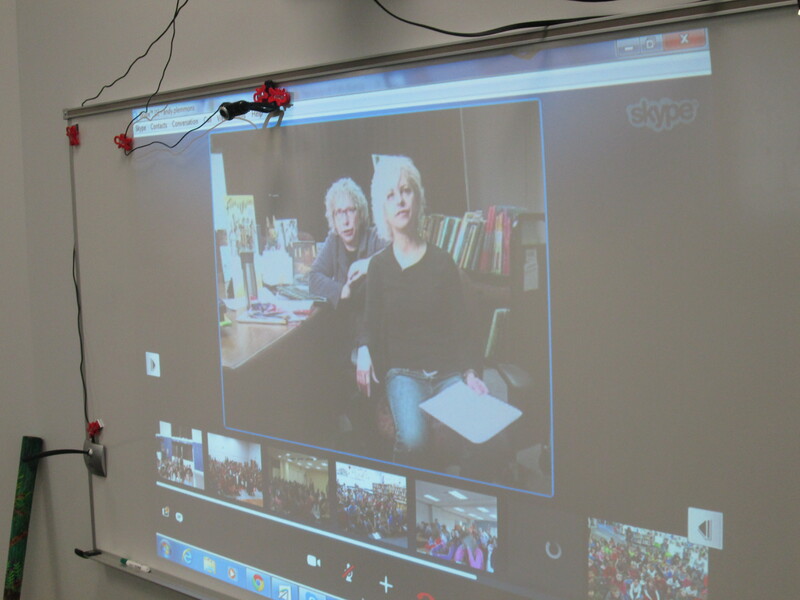 Later in the day, we connected with author Barbara O’Connor along with Sherry Gick and her students in Rossville, Indiana. 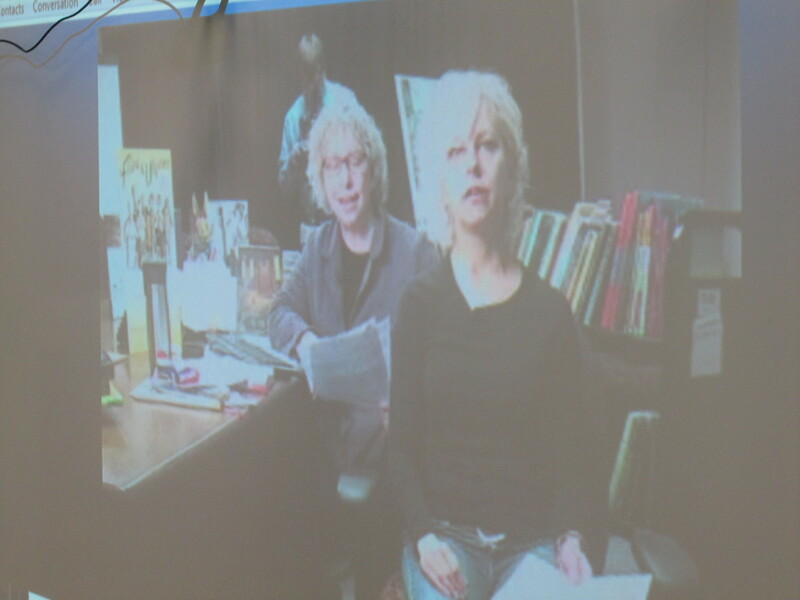 Barbara read aloud from How to Steal a Dog. 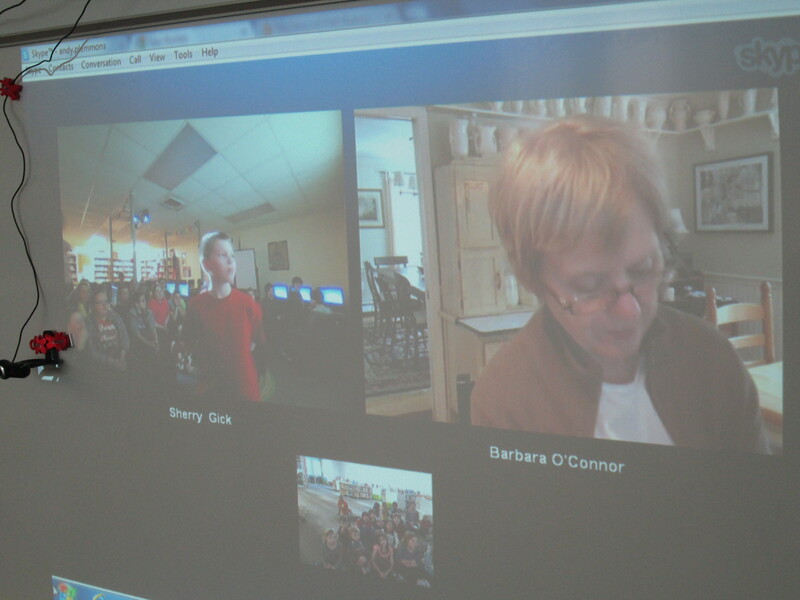 Then, students in each state had a chance to ask her some questions. 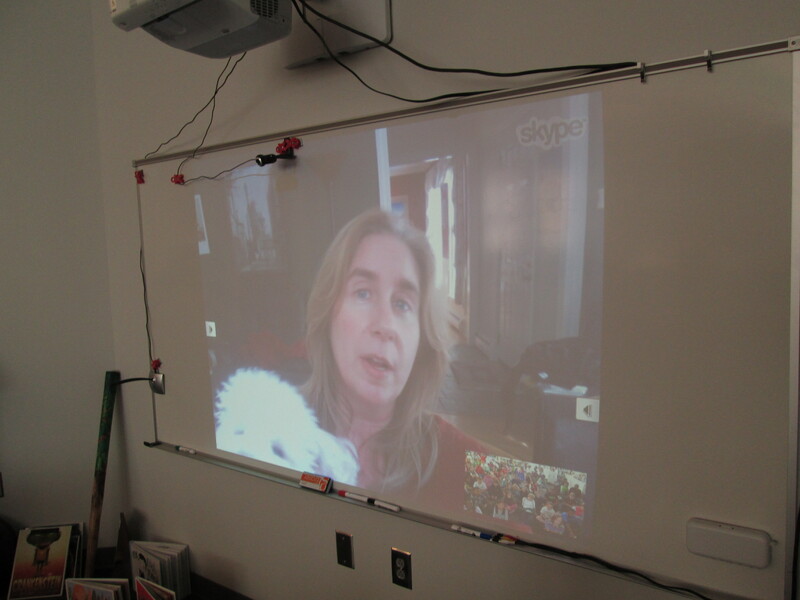 We learned about her 2 dogs, Martha & Ruby, as well as where the inspiration for the book came from. 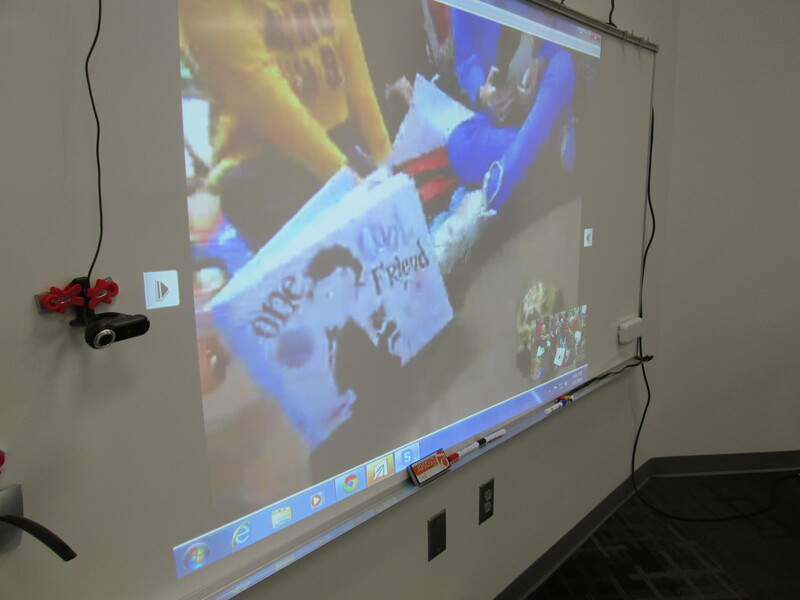 Mrs. Wright’s 2nd grade class loved connecting since they had just finished the book as a class read aloud. 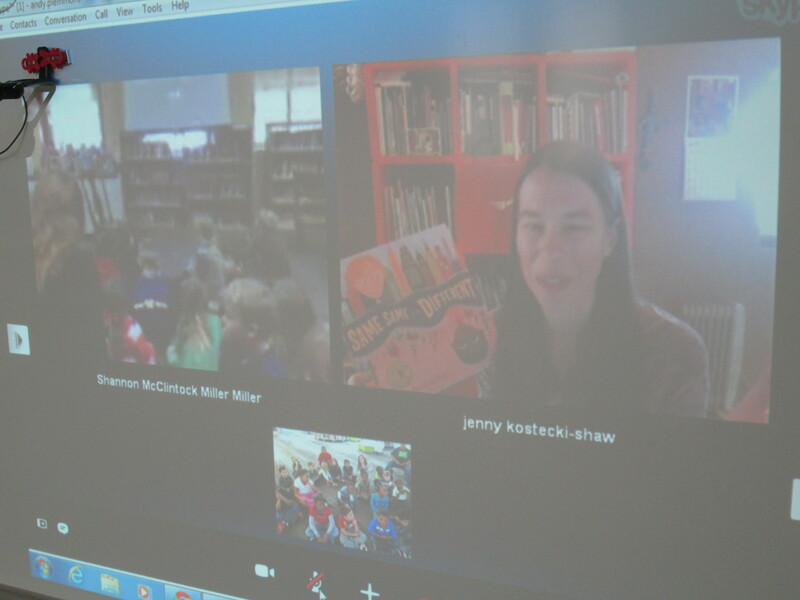 Mrs. Stuckey’s class connected with author Jenny Sue Kostecki-Shaw and Shannon Miller’s students in Van Meter, IA. She read her book Same, Same But Different. We loved hearing her sing Kailash’s alphabet. Then, she gave us a peek inside her art studio where we saw some paintings from her new book Luna and Me, which will be out in spring. 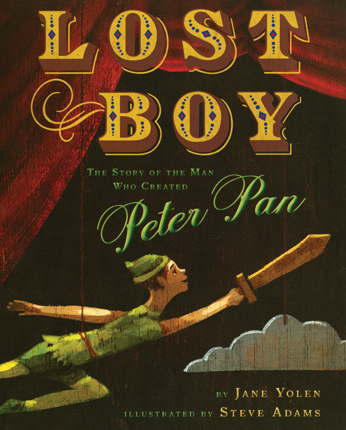 We can’t wait to see this book in print! 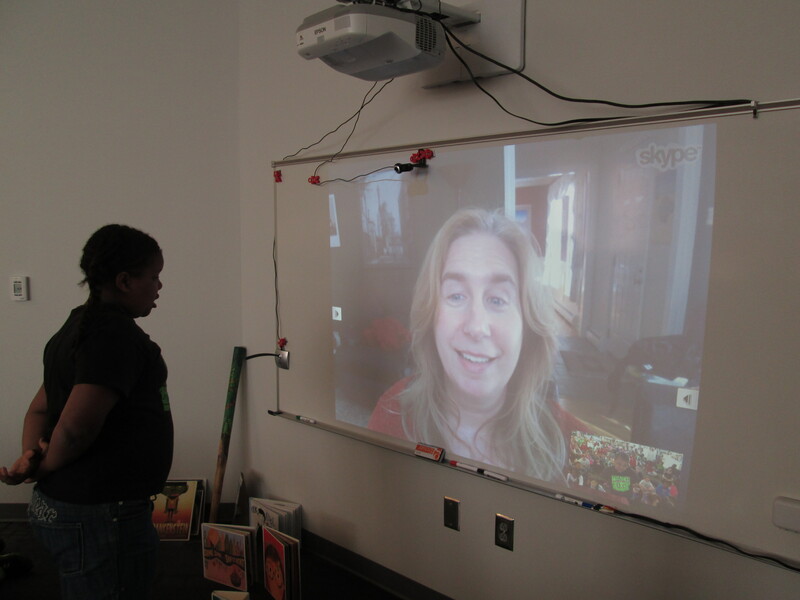 Students also got to ask her questions about her work. It was fun to see her thought process as the author and illustrator of the book, and we learned that she does both together. 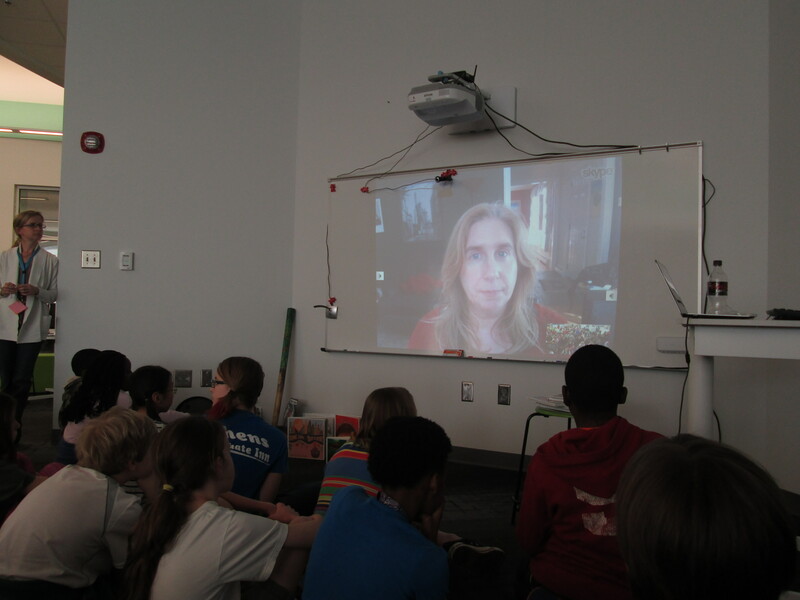 We ended our day with the entire 5th grade skyping with author Tanya Lee Stone. She read to us from Almost Astronauts. 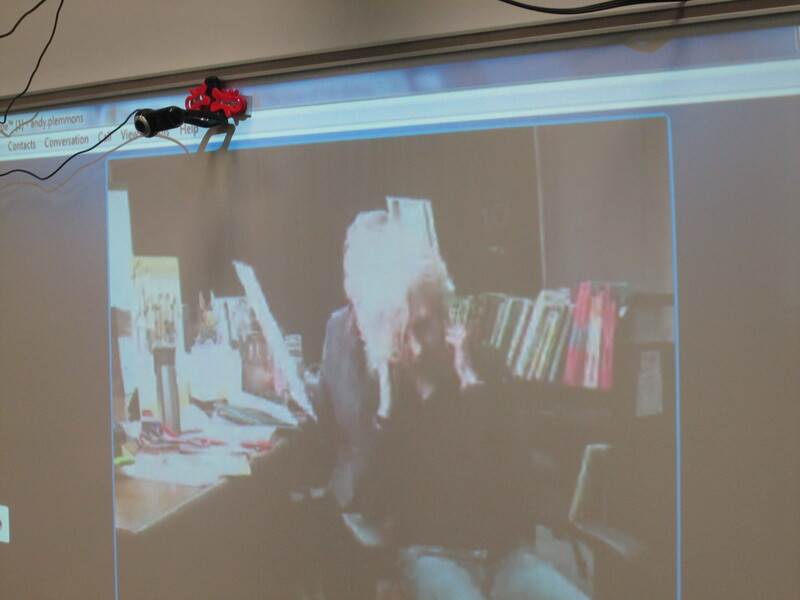 This was followed by a chance for students to ask her questions. 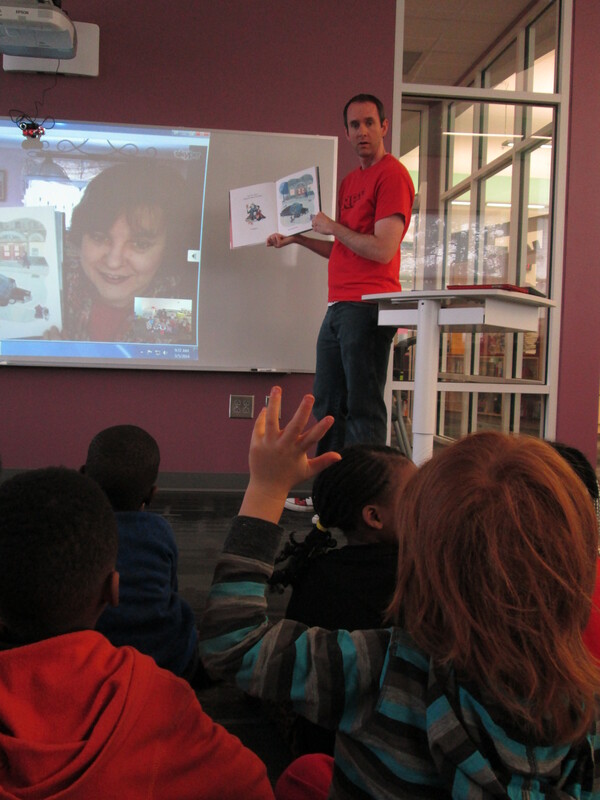 They had several specific questions about the book, but we also learned how thorough Tanya is when she researches. 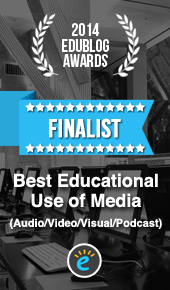 I loved that she included that she uses the Internet to research, but that she makes sure she is using reliable sources. 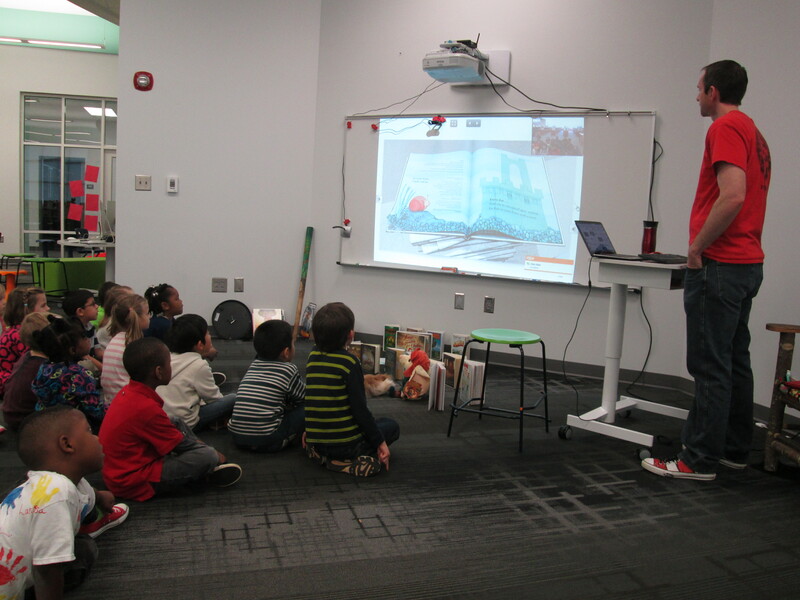 It was also fascinating to hear that books like Courage Has No Color took 10 years to write! That was a powerful statement after students were complaining about a 2 hour writing test. 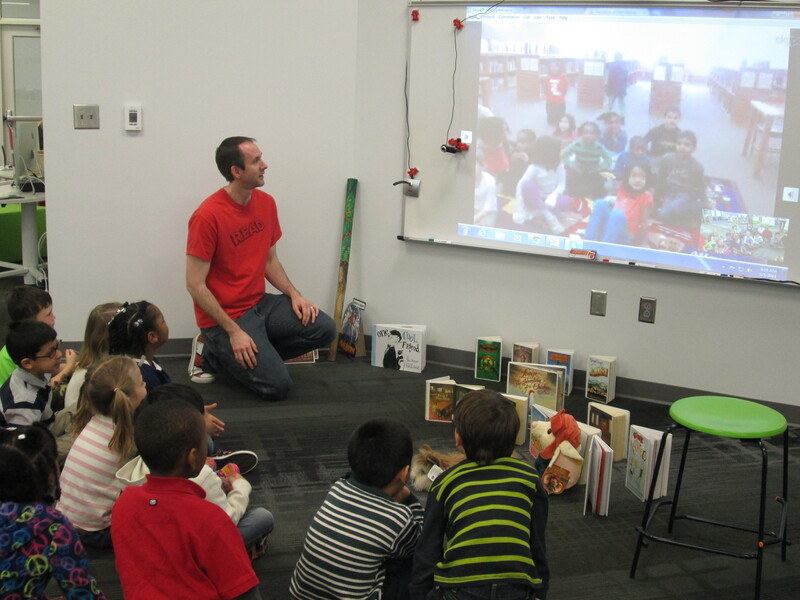 I love World Read Aloud Day. I love sharing stories aloud, but even more than that, I love knowing that words are filling the air all around the world on this day and across this week. 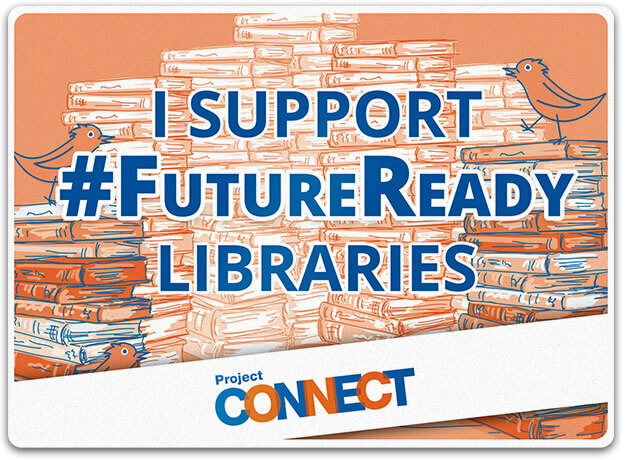 I love that people are using social media to publicly profess their love of reading, their favorite books, and their celebrations of their freedom and right to read. I love that stories really are connecting us to one another on this day and every time we share a story out loud. Our celebration will continue for the next 2 days before we are off for spring break. 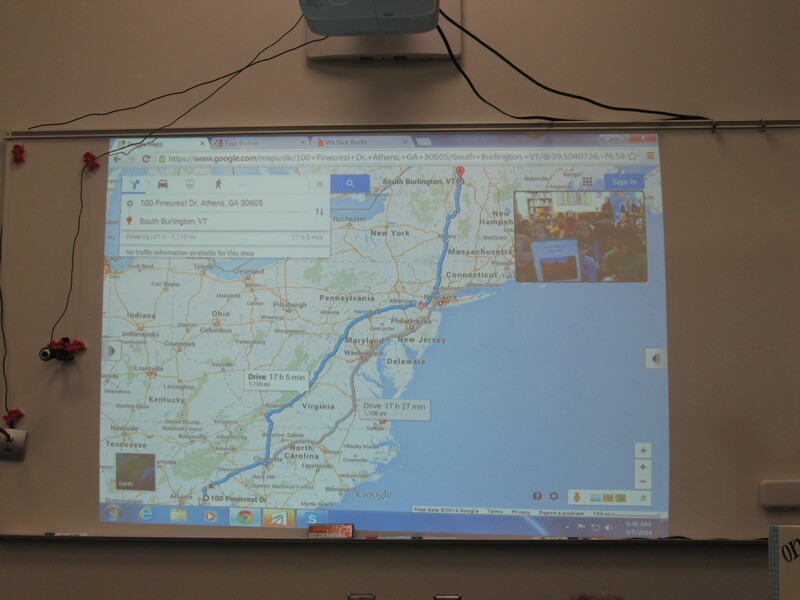 We will continue working on a Google Tour that will show all of our connections with a summary of each one. Look for that in Friday’s post! 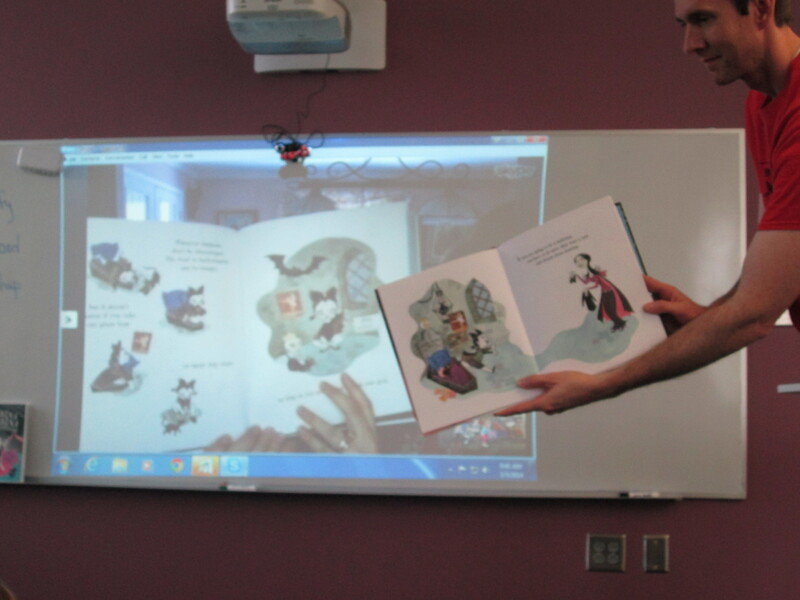 Happy World Read Aloud Day! 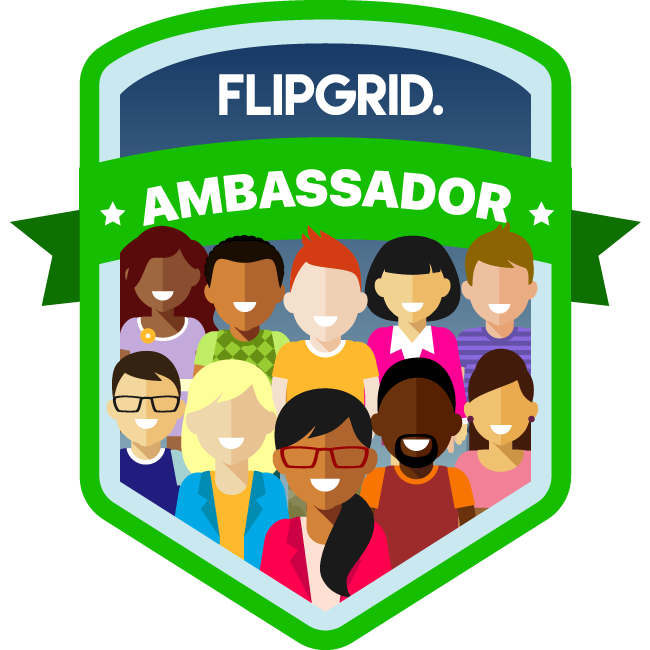 This entry was posted in Advocacy, Events and tagged authors, connecting, favorite books, read aloud, skype, World Read Aloud Day, WRAD, WRAD14.